Lay flat softbound binding. 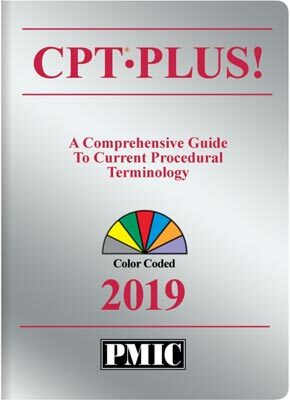 PMIC's CPT book includes all 2019 CPT codes and full descriptions with all official code notes. Published exactly like the AMA CPT book, and loaded with extra features designed to improve the accuracy of your procedure coding. Thumb-indexing and Lay-flat Binding: thumb-indexed to help you locate CPT codes faster, and specially bound so the book stays open exactly where you want it to.